While we are often up to date on the most mundane aspects of our every day lives using our computers and smartphones, people often neglect to keep an eye on their financial health. Be it out of fear or lack of knowledge, ignoring your finances can spell disaster down the road. To help prevent this, we suggest making use of one of the many personal bookkeeping softwares available on the web. Bookkeeping software acts as a gauge and dashboard for your finances and can help keep you on track to help pay off debt, save money and retire. 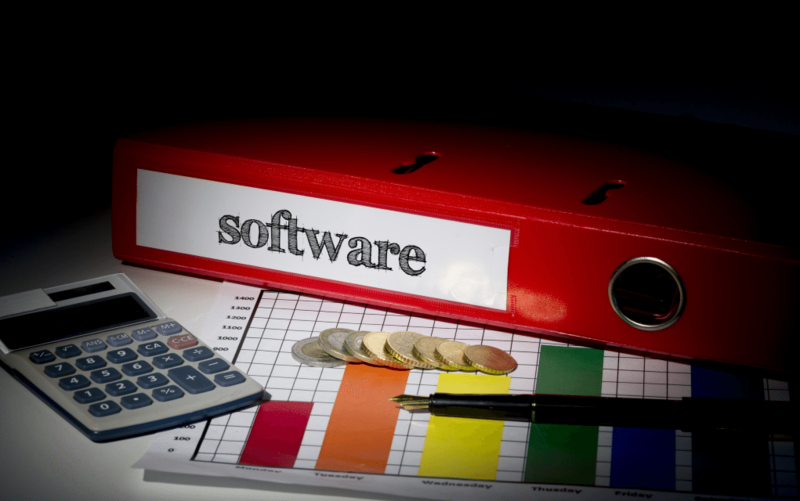 Check out our list of the 5 Best Personal Bookkeeping Software to get you a little closer to your goals, whatever they may be. 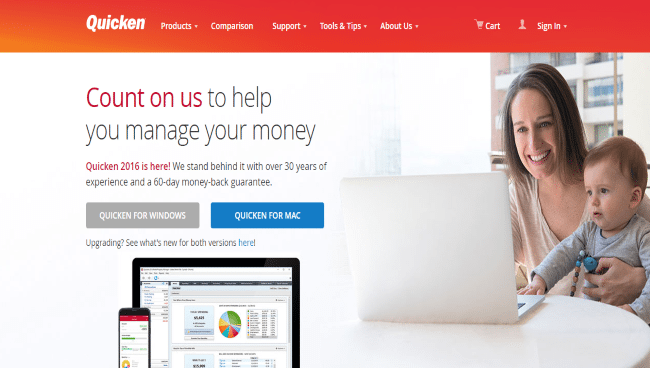 Even if you’ve never considered purchasing or using personal bookkeeping software before, you may still be familiar with Quicken. 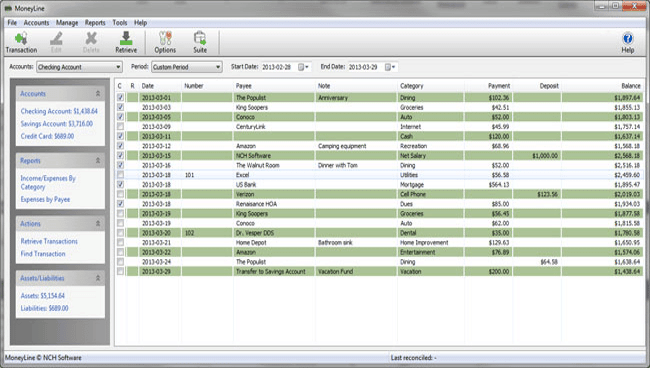 Created by Inuit, Quicken Premier sets the bar for this type of software. Using Quicken, you can sync your credit card, investment accounts and bank accounts and allow it to track your purchases for you. You can quickly and seamlessly create a budget with spending limits that ensures you do not overspend in certain areas. You can also leave out the areas that you can’t make use of, such as the car section if you choose not to have a vehicle. Though Quicken does make extensive use of online connections, it can also be used without the Internet and will allow you to manually add and edit transactions. Moneydance is a straightforward and easy to use platform that offers a powerful budgeting solution that syncs directly to your financial institutions. With Moneydance, you have the option of syncing your common account types, such as checking, credit cards or loans. Moneydance also allows you to include peer-to-peer lending accounts, which is somewhat unique with personal bookkeeping software. Moneydance also offers surprisingly powerful reporting options. You can choose between simple data reports, like a budget report, cash flow and income vs. expense, or you can opt for reports that offer graphs to demonstrate visual data. 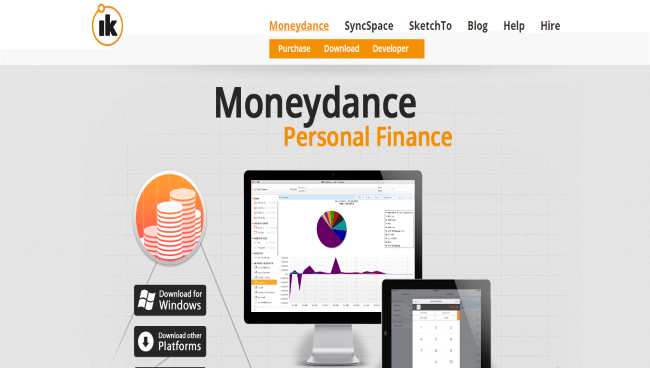 Overall, Moneydance offers more reporting options than most similar softwares, but unfortunately it does not have goal or retirement planning options. Buxfer is an online platform, which gives you the freedom to logon from multiple computers. With Buxfer, you can create an online profile and keep all your information within that profile online. Like the home-based platforms we’ve reviewed, Buxfer allows you to sync with your financial institutions. You do not need any additional programs to use Buxfer, though you can use DropBox to save daily backups. Buxfer does not offer as many reporting options as other software and does not have any way to set and track goals, but it does offer an interactive and easy to use budgeting section. Buxfer also offers a nifty dashboard that shows a quick overview of all your accounts and can alert you to anything unusual happening in your budget. MoneyLine offers you a lot for your money. It has a majority of the services offered by more costly platforms but at a lower price. It is also incredibly easy to use and allows you to sync to your financial institutions, add transactions manually and create budgets with equal ease. When creating your budget, you pull up the separate budgeting window and simply add the limit amount for each category, and the personal finance software gives you a total for the month. 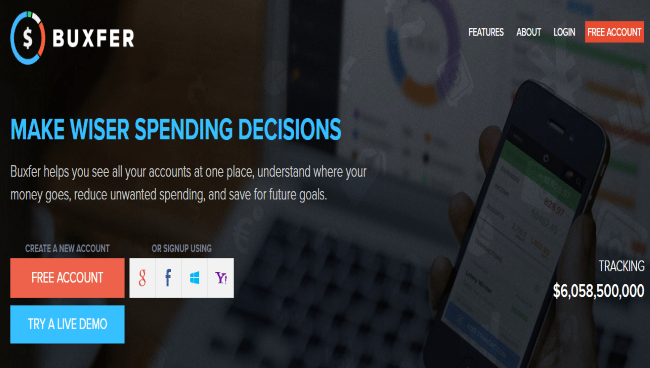 This software does not offer specific goal tracking, but you can include a savings account and transfer money to it monthly. Unfortunately, MoneyLine does not offer mobile apps, so you can not manage your budget away from your computer. BankTree offers a simple, easy to navigate platform that is a good option for users looking for a basic budgeting a reporting service. Based out of the UK, BankTree does have difficulty syncing to US and Canadian financial institutions, which could pose an issue for users. You can still manually upload and transcribe your transactions from institutions though. You must have a DropBox account to sync accounts using the cloud when using the mobile apps. While creating a budget is not the most intuitive, assigning limits to each category is very simple. You can enter the amount for each month individually and if you go over budget, the system will warn you with alerts.